Moscow, May 17, Interfax - Patriarch Kirill of Moscow and All Russia called on the heads of state of the "Normandy four" countries, the Orthodox Churches, Pope Francis, UN Secretary General Antonio Guterres to prevent the planned adoption by the Verkhovnaya Rada of Ukraine of two laws that are regarded by the Russian Orthodox Church as discriminatory. “The messages state that, if these drafts are adopted, discriminatory legal practice on a majority of the Orthodox population of Ukraine unprecedented for today’s Europe will be legalized. Such restrictive religious legislation was not effective in Ukraine even in the period of the Communist regime, and in the remaining territory of Europe something like that only existed under Nazi rule in Germany,” the Russian Orthodox Church said on its website on Wednesday. Bill №4511 gives special status to religious organizations “whose administrative centers are located in a state recognized by the Verkhovnaya Rada as an aggressor state.” The Ukrainian Orthodox Church of the Moscow Patriarchate has repeatedly said it sees this document as discriminatory and jeopardizing its communities on the territory of Ukraine. 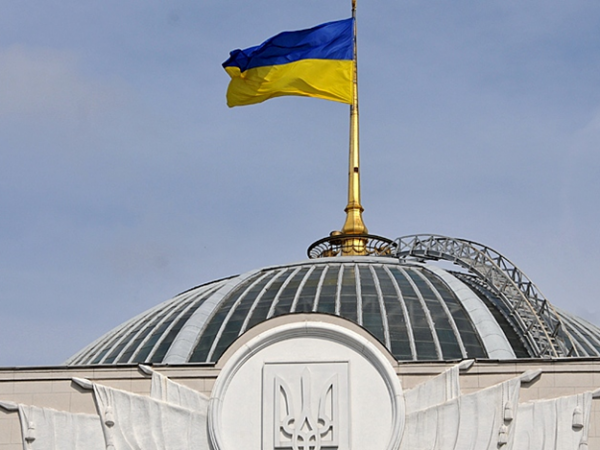 Bill №4128 gives people belonging to a church community the right to change its charter by voting by simple majority, which the Ukrainian Orthodox Church of the Moscow Patriarchate believes will lead to the legalization of raiding takeovers of its churches and their transfer to the self-proclaimed “Kiev Patriarchate”. The patriarch said these bills contradict the Ukrainian Constitution and current legislation, adding that they have been opposed, specifically, by the main scientific and expert directorate of the Verkhovnaya Rada, its committee on corruption prevention, and representatives of various religious organizations. The patriarch said the adoption of these laws “jeopardizes the constitutional rights of millions of Ukrainian believers and is capable of causing a wave of violence and new takeovers of churches and aggravating the civil conflict in Ukraine, putting it into the realm of religion.” According to the available information, right-wing radical elements took over 40 churches of the Ukrainian Orthodox Church on the territory of Ukraine in 2014-2016. The formal grounds for such takeovers are so-called referenda conducted by residents of villages who decide on the ‘transition’ of their communities. The opinion of valid founders and members of the community as a legal entity is not taken into account in such situations,” he said.